Here is a couple of pictures of a very smooth OC razor that is a combination of parts. 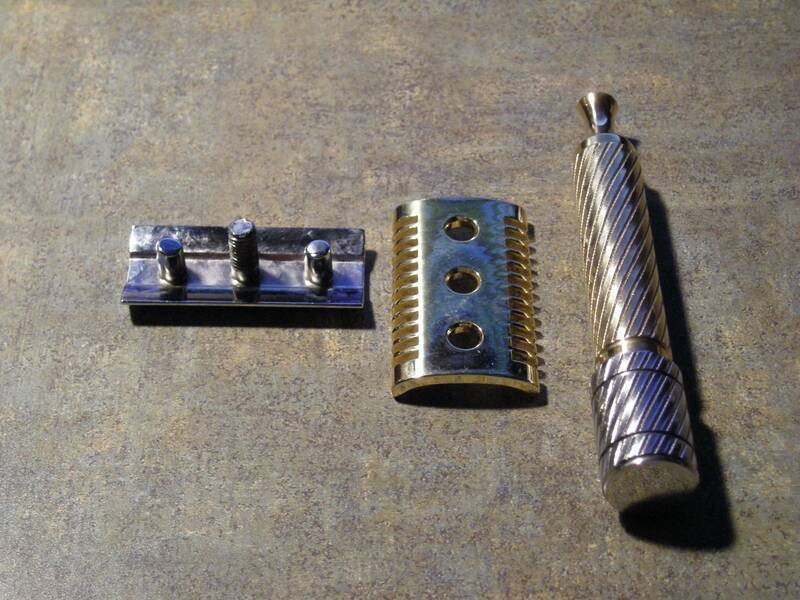 This has a Fatip baseplate with a Edwin Jagger D89 cap and a Triad (Toby) handle in brass and stainless steel. 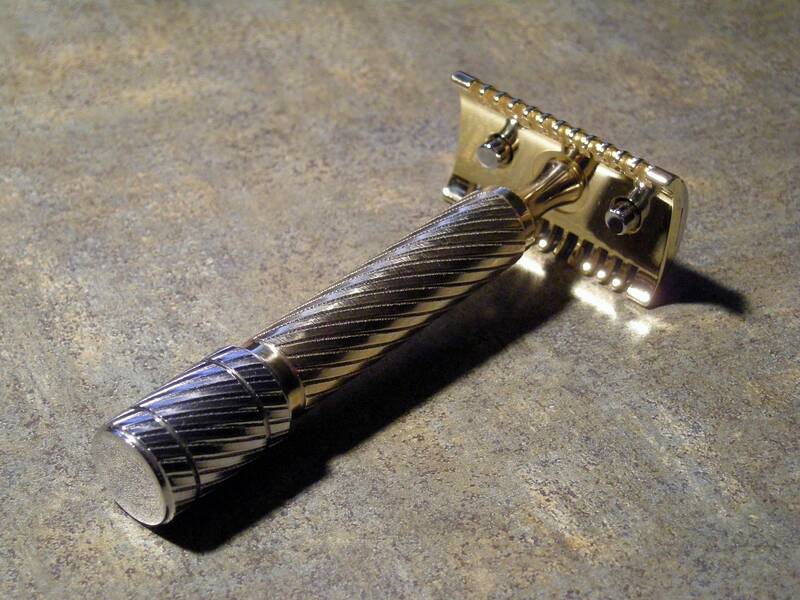 I really like how this razor shaves and the two-tone look. It started by receiving the Fatip razor as part of a larger trade and I did not like the shave it was providing me. I had a Parker 26C which was too mild and tried switching caps. This combination works very nicely as well....switching caps makes both razors better for my face. I then tried the Fatip baseplate, which has very comfortable rounded combs, with the D89 cap which works as well or better than the Parker. Even an Ikon Shavecraft 101 cap will work and tone down the Fatip just enough to make it comfortable for me. I sold my Fatip. If I hadn't, I'd try it with the Shavecraft 101 top cap tomorrow morning. I have a fatip that is gather dust because it is just a little too aggressive. I will give this a try. Thanks for the tip.